Chain mails and hauberks - mail armor by Steel Mastery. Welcome to section “Chain mails and hauberks”. Here you can find different models of mailed armour, which was used in Medieval Europe, Byzantium and Ancient Rus. Every model is handcrafted by individual parameters of customer. We make body protection according to the original models, which are kept in museums or can be seen in the ancient manuscripts. If there are some difficulties with choosing, please contact our manager. We will help you to define your size, required model and its complement. Chainmail armour got widespread use almost in all countries of Europe and Asia. The earliest findings of this body protection were founded in Celtic and Scythian burial places and dated IV-III B.C. Usefulness of mail armour was incontestable during few centuries before appearance of fire weapon. The most widespread type of mail was plaiting 4 to 1: one ring was chained to nearest four rings. Crafter of other Asian countries (especially, in Japan) were using other types of plaiting. Rings could be flat or rounded, made of steel wire. Modern specialists proved that mail of flat rings apportioned the power of blow much good, and thereby amortized it better. Protective feature of chainmail depended on the diameter of rings, method of riveting and metal as well. Armour of iron or steel rings had many undeniable advantages. It was cheap and affordable due to easy technology in manufacturing. Chainmail protected of slash blows by bladed weapon. In spite of its heaviness (thigh-length mail could weight 8-10 kg), such armour did not hinder the movements, which was important advantage during the fight. In addition, it was very easy to patch the holes with new rings. 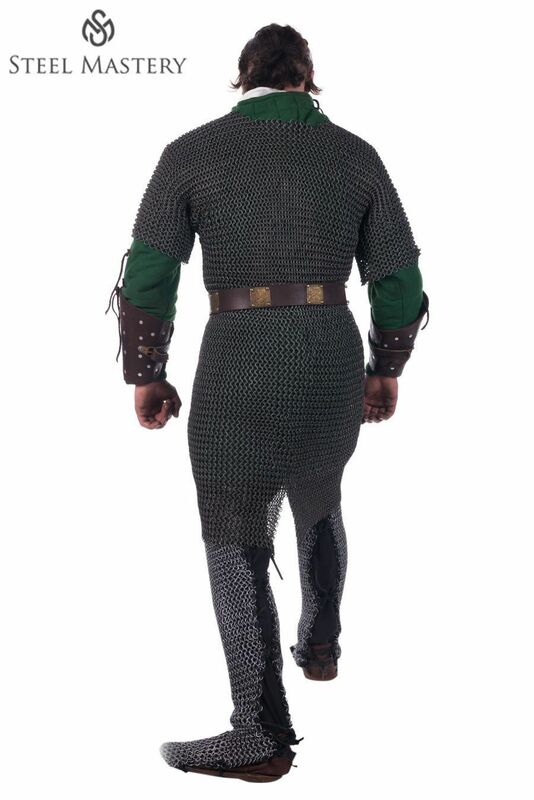 Knee-length mail shirt called hauberk. Its mid-thigh analogue is named haubergon. The shortest shirt was called byrnie. Hard tilt could pierce through the rings and cause debilitating injury. Flexibility of chainmail did not save of battle-axe and morning star blows as well. Therefore, warriors always wore thick padded gambeson under the mail, as it was able to amortize the strength of crushing strike. Combination of mail and plate armour came into use in Europe countries starting the XIII century. 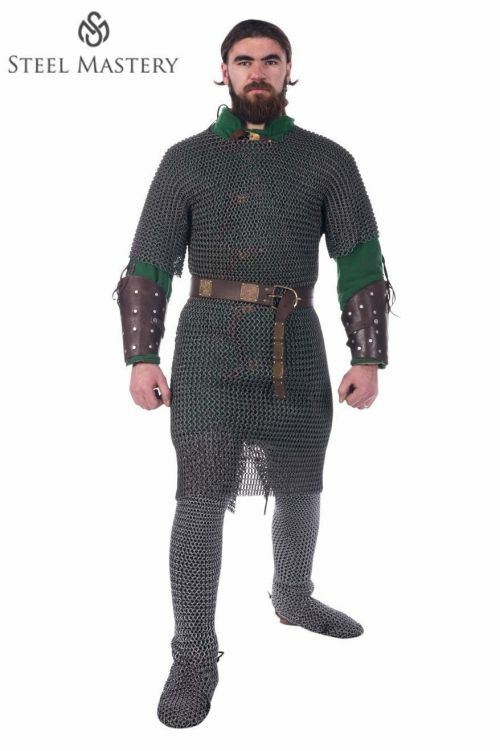 Chainmail was worn under brigandine or full-plate body protection to reinforce its protective properties and to cover attackable and defenseless parts – armpits, thighs or neck. In time, European knights went back from wearing full mail shirt under the breastplate and started to use only separate mail insets.